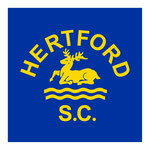 The make up of the different squads are reviewed regularly by the Hertford Swimming Club coaching team. Potential movement between squads is also reviewed regularly by the Head Coach and Assistant Head Coach with the principal goal of ensuring that all swimmers swim in sessions that are appropriate to their level of performance and commitment to training as best as possible. Swimmer welfare and development is paramount when considering squad moves, also taking into account the varying capacity and composition of different groups which changes throughout the year. Our fees are competitive and vary depending on the number of sessions allocated to a particular squad. No charge is made for initial trial sessions, and fees will be advised when a place is allocated.